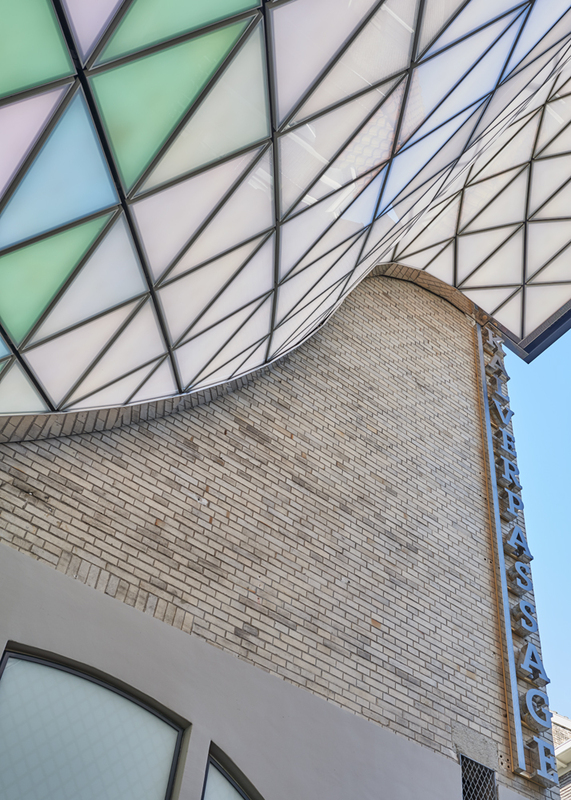 Kroonenberg Groep transformed the Kalverpassage in Amsterdam to a renewed shopping area. On behalf of Kroonenberg Groep, Arttenders set out to turn the existing LED-ceiling into an innovative work of art. 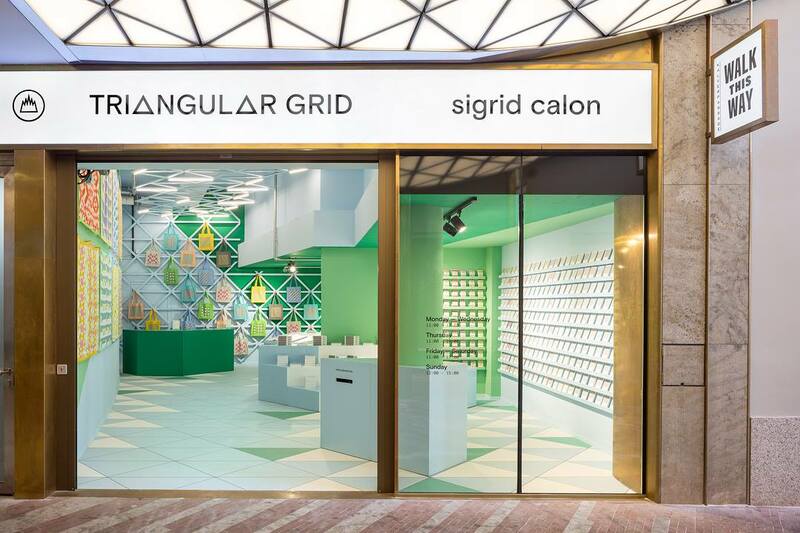 Therefore, we brought together graphic artist Sigrid Calon and Naivi, an agency specialized in tailor-made high end software development to create Triangular Grid. 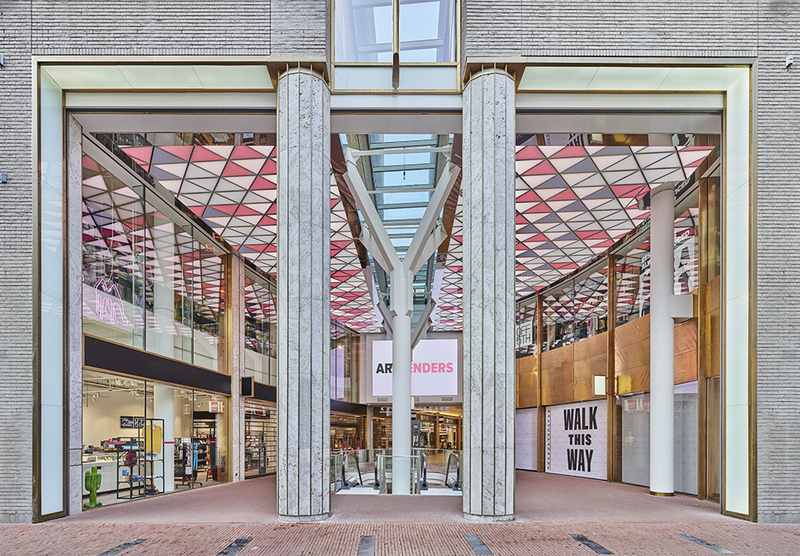 Together with works from Ai Weiwei, Maarten Baas and Ichwan Noor the Kalverpassage is not only a shopping area, but also a spectacular art destination. 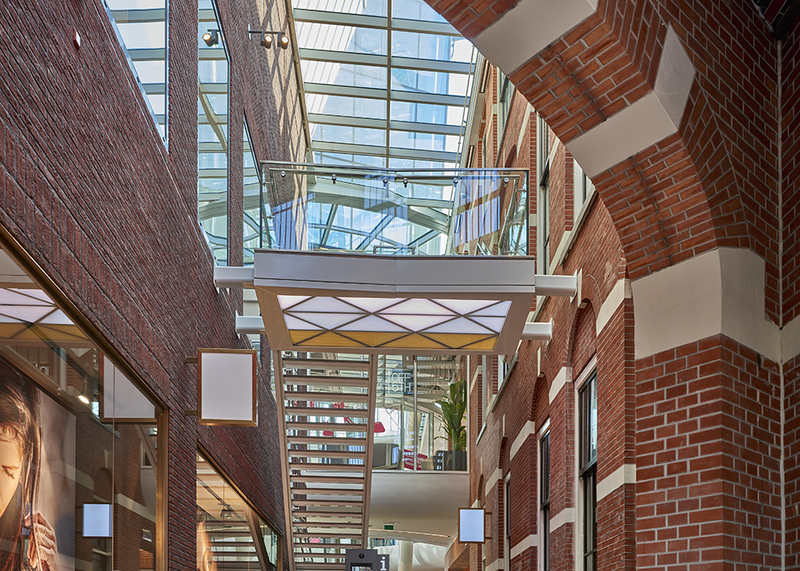 Kroonenberg Group opted for a striking element with added value for the transformation of the Kalverpassage, formerly known as the Kalvertoren. In their search they encountered triangular LED screens. These screens have been tailored to fit the ceiling of the Kalverpassage and can be driven independently as well as in symbiosis with each other. A key-element for the prestigious transformation of the Kalverpassage, would be a striking and site-specific artwork in combination with the existing LED-screens. Arttenders matched Kroonenberg Group with graphic artist Sigrid Calon and technical partner Naivi, an expert in tailor-made software development. Sigrid Calon searched together with Coen Klösters from Naivi for the possibilities and limitations of the colour options in the LED screens. Calon developed a complex, almost mathematical formula that makes a new grid appear every minute. Calon started with creating a palette of 365 colours, based on every day of the year. Within that palette, there are 52 tones of white, one for every week. Furthermore, each day of the week has its own colour. Weeks and days have their own base form and direction. Finally, there are never more than 4 colours in the grid at once. Coen Klösters created a tailored digital pencil with which Calon was able to translate her work directly to the screen. The end-result is the artwork itself: Triangular Grid. Triangular Grid was festively revealed on 20 April 2018. 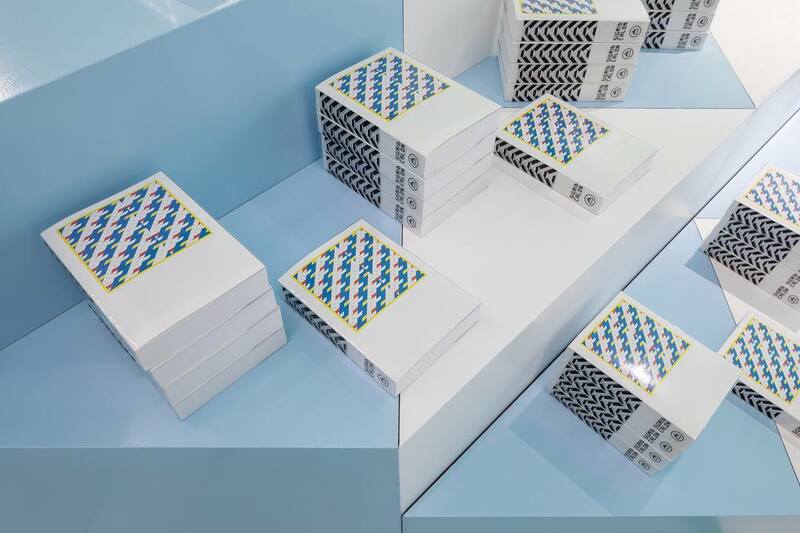 In the Kalverpassage itself there was a pop-up shop completely dedicated to the artwork of Sigrid Calon with must-have scarfs, tote bags, picture postcards and a limited edition publication about Triangular Grid. 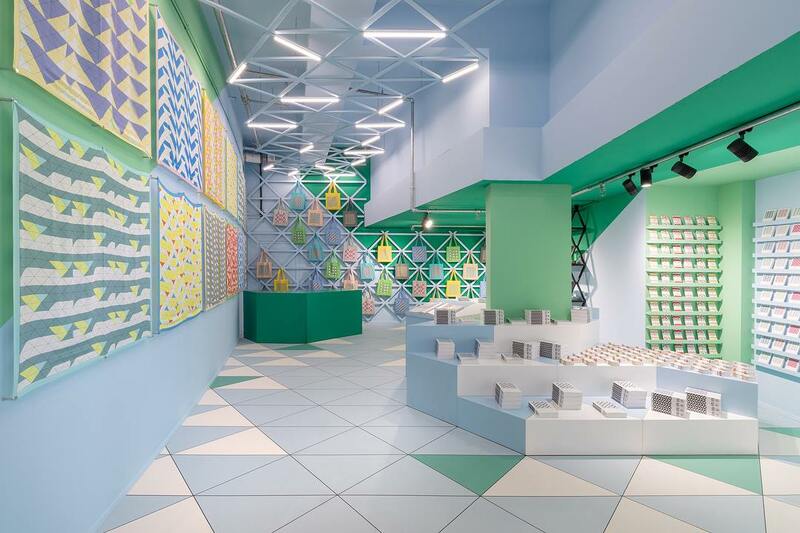 The store design was in the capable hands of ...,staat, a Dutch agency that crosses the bridge between communication and design. Overall PR-activities for the launch party and the artwork itself was done by the magnificent people at Spice PR. 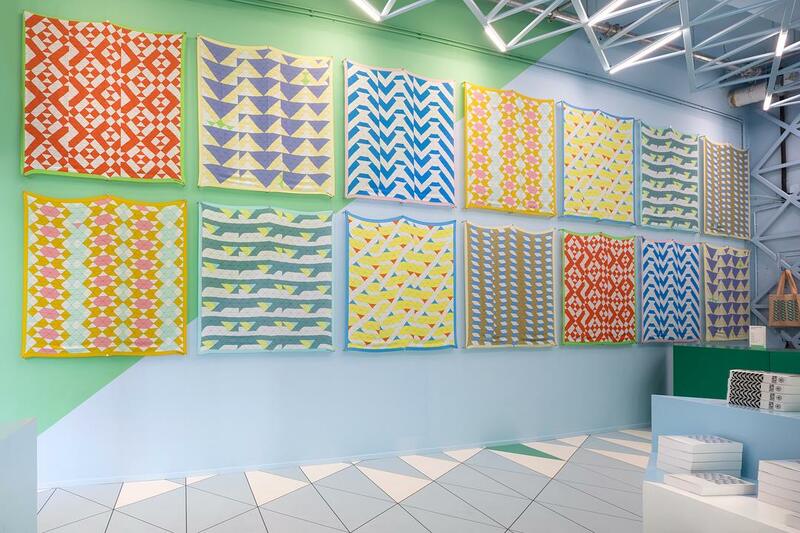 Because of Sigrid Calon's extensive mathematical approach to designing this artwork, there are enough unique compositions for a period of nearly ten years. In Dutch newspaper Het Parool she confesses that she hasn't seen all the compositions herself either (paid link), it's simply impossible! Fortunately Kroonenberg Group commissioned ...,staat to create a coffee table book for Triangular Grid with an overview of nearly 360 different grids. The introduction to this book has been by Arttenders own Faye Ellen and Siobhan Burger. The transformation of the Kalverpassage was indeed news, especially for local media. Triangular Grid however, could count on coverage from national art and design media such as Frame, but also fashion magazine Elegance showed interest in the artwork and the pop-up store.